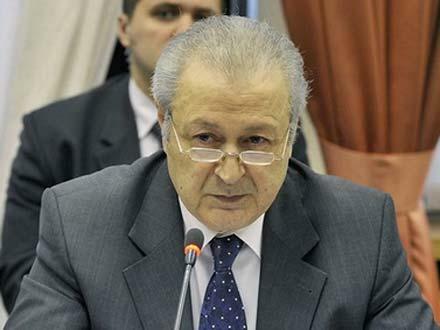 Azerbaijan's first President Ayaz Mutallibov, 74, told the conference of his Social Democrat Party on Saturday that he was retiring from the party leadership and politics. Addressing the party conference through phone from Moscow, he said he would dedicate his time to family affairs and his declining health. Mutallibov also praised current President Ilham Aliyev for his role in enacting of the law about former presidents which will grant amnesty to Mutallibov and remove all obstacles to his return to Azerbaijan. Mutallibov couldn't return to Azerbaijan until now, for he could face 19-year old treason charges still pending. Though he briefly visited Baku back in August 2011 to attend his son's funeral after President Aliyev guaranteed him immunity on the highest level. “The adoption of this law brought joy to me and my family, because it ended my exile and created a chance for me to return to my fatherland,” Mutallibov said. Though law doesn't forbid him to engage in politics, Mutallibov said he made a decision to quit politics for objective reasons. Mutallibov's position was especially strong among indigenous population of Baku and wider Shirvan area that covers eastern parts of Azerbaijan – the region is now being courted by the First Lady's family – the Pashayevs. Ayaz Mutallibov was the last and 14th communist party chief and – since 1990 – President of Azerbaijan Soviet Socialist Republic. He was re-elected President in 1991 - this time of Azerbaijan Republic, but resigned in March 1992 after failing to prevent massacre of Azerbaijani civilians in Khojaly by Armenian troops during Karabakh war. After an unsuccessful attempt by ruling elite to bring Mutallibov back to power in May the same year, the opposition Popular Front lead an uprising that ousted him from power completely. Mutallibov went into self-imposed exile in Moscow and the Popular Front opened a criminal case accusing him of treason. But the Front could retain the power for little more than a year and had to invite former KGB general and another communist party boss Heydar Aliyev into power after they faced a military coup. Heydar Aliyev took control of the country and removed the Front from power, but he also did nothing to dismiss the treason charges against Mutallibov.